PIP®, short for Protective Industrial Products, is a global provider of innovative safety products and they offer a vast array of PPE that ranges from hand and arm protection, to eyewear, to hi-vis clothing and beyond. 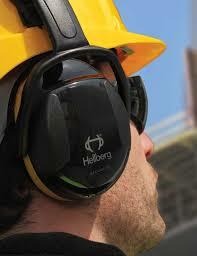 Recently PIP® partnered with Hellberg Safety AB to produce a modern line of slim profile, color-coded hearing-protection ear muffs. Featured are passive noise-blocking muffs for professional users who demand superior and affordable hearing protection, with modern features and advanced design.